Try before you buy at home or work, choose a time that best fits your schedule. The hassle free way to book a test drive. For some shoppers, buying a car means bringing it home before signing the papers. The most common reason for this is to see if the prospective car fits in the buyer’s garage, but car shoppers may also want to bring a car home for other reasons. These include seeing if an unusually large item (a musical instrument or a dog, luggage, Ski equipment) fits inside. Can you actually request a test drive at home? Let us explain. If you live relatively close to our location — say, within 30 minutes – We should have no problem bringing home the car to you, assuming you have a good reason for the excursion. If you’re farther from us instead, we will provide you with the vehicle’s measurements and suggest that you measure the garage or the large item that needs to fit inside to find out if it will work. Still, in some circumstances we will make the Journey even if “home” is a longer distance away. Why test drive from home? Some people said they would prefer to test drive at home or office, so we made it happen. With so many of us leading busy lives at work and with our loved ones and families, free time is more and more precious. The fact is that finding the right car can be time consuming: Searching online; travelling to the dealership; sitting in traffic (often with an impatient family), scheduling time around work or kids events. Our customers find it’s easier to find the perfect car if the car comes to you and you’re able to test drive on familiar roads; concentrate on the new car itself and how it drives. You also have the chance to see if the new car is easy to park on your driveway, parking stall or in the garage: Are the child seats easy to fit? Is there room in the trunk or back of the vehicle for kids safety seats, a stroller, luggage, or even Golf clubs. How long is the test drive? A test drive typically lasts for up to an hour, which is fine for most customers. If you feel you would like a longer test drive, please let us know and we will do our best to arrange. You must have a valid driver’s license and be insurable in order to take a test drive. 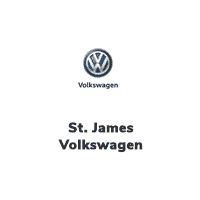 St. James Volkswagen @Home test drives are available within Winnipeg city limits only. May not apply to all vehicles. Other restrictions may apply. YES! I would like a Hassle-Free Test Drive!